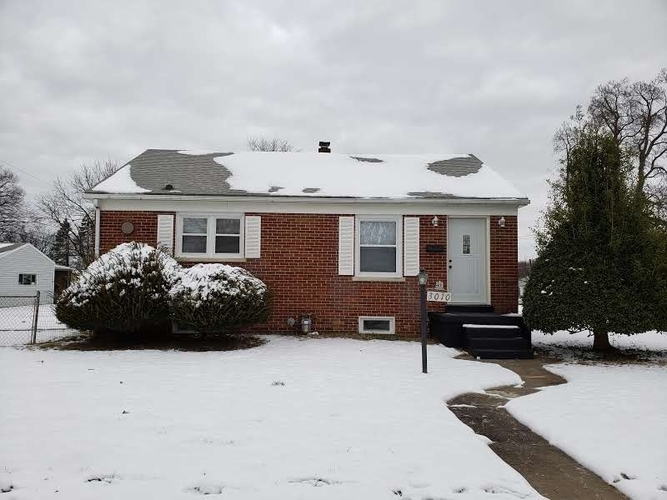 All brick 2 bed, 1 bath with unfinished basement, corner lot with fenced yard & 1+ car detached garage with workshop area. Replacement windows, beautifully refinished hardwood floors, all new kitchen & bath, new furnace (not sure if he did A/C). Many updates, move in ready. Home Warranty included for buyer's peace of mind. Directions:E Lloyd Expy, R onto Vann Ave, R onto E Sycamore St, home on right.